He observes that most search engines would react to the word “tent.” But the additional context regarding location, temperature, tent size, scenery, etc. is typically lost. Yet, this type of specific information is actually what informs many buying decisions. Relaying or maintaining this context is often a burden left to the user and a new solution was needed to remove the hard work associated with shopping. To build the eBay App for Google Assistant, the knowledge graph they needed would be coupled with natural language understanding and artificial intelligence to store, remember and learn from past interactions with shoppers. 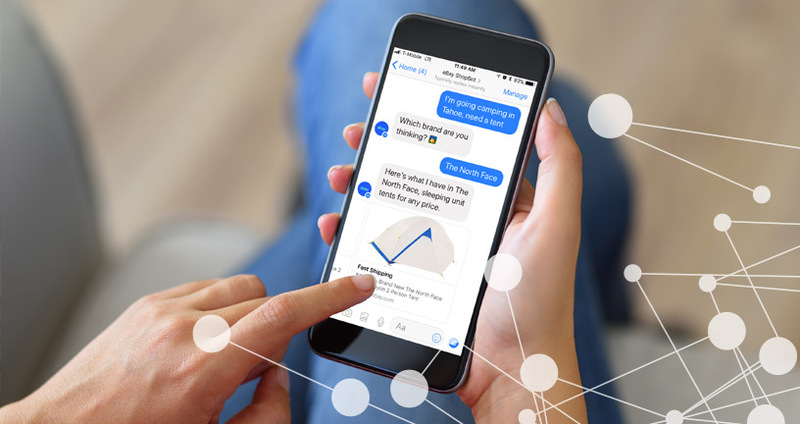 eBay chose Neo4j as the native graph database that holds the probabilistic models that aid understanding in the conversational shopping scenario. The Neo4j graph contains both the product catalog and the attributes of shopper interactions while seeking products. When a shopper searches for “brown bags” for example, the eBay App knows what details to ask about next, such as type, style, brand, budget or size. As it accumulates this information by traversing through the graph, the application is continuously checking inventory for the best match. This is a great example of real-time decision making.